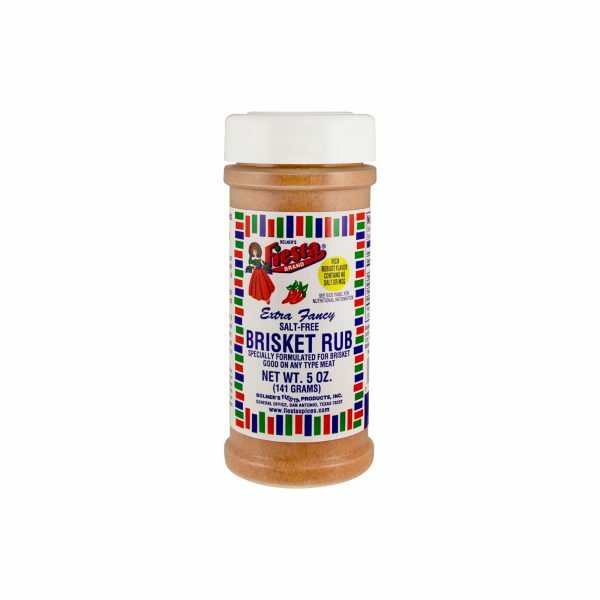 Completely salt-free, Fiesta Brand Brisket Rub is the ideal blend of garlic, onion, paprika and other spices guaranteed to bring out the best flavor in your favorite brisket. Brisket is a prime cut of meat that traditionally comes from the lower chest of beef or veal. There are a variety of ways to prepare this cut of meat, but the best way to bring out the flavor is to season it with a dry rub and cook it slowly over the indirect heat of a charcoal or wood grill. 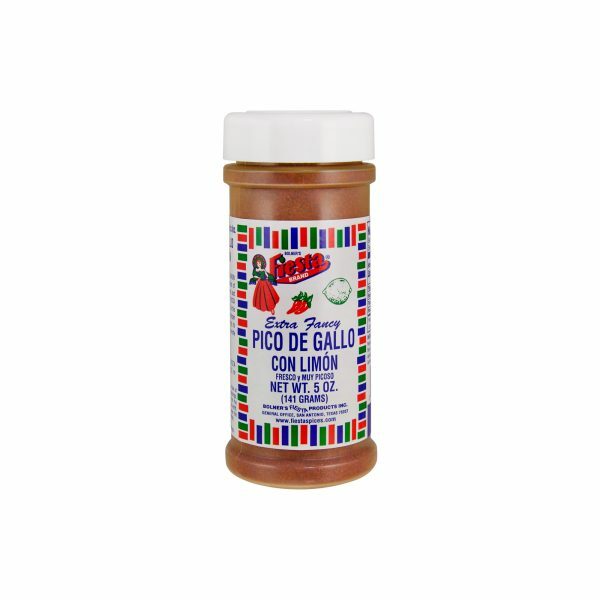 Fiesta Brand Brisket Rub is the perfect blend of garlic, onion, paprika and other spices – including a tenderizing agent – to bring out the natural smoky flavor of tender brisket. Simply rub the spice mixture into the brisket and refrigerate overnight before cooking to maximize the flavor. As an alternative, you can try this seasoning on other cuts of beef or even poultry and fish. Rice Flour, Spices, Garlic, Onion, Paprika, Sugar, Calcium Stearate (Free Flow Agent), Tenderizer (Proteolytic Enzyme derived from Aspergillus Flavus Oryzae and from Papaya), Propylene Glycol (To Preserve Freshness), TBHQ, and Citric Acid. 1. Slightly dampen Brisket and rub thoroughly on all sides with generous amount of seasoning. 2. Refrigerate Brisket overnight for full flavor development and tenderization. 3. Bake covered in oven for 6 hours at 225 degrees or barbecue over low fire 8-12 hours until tender. Note: This seasoning can be used on any kind of meat, poultry or fish.